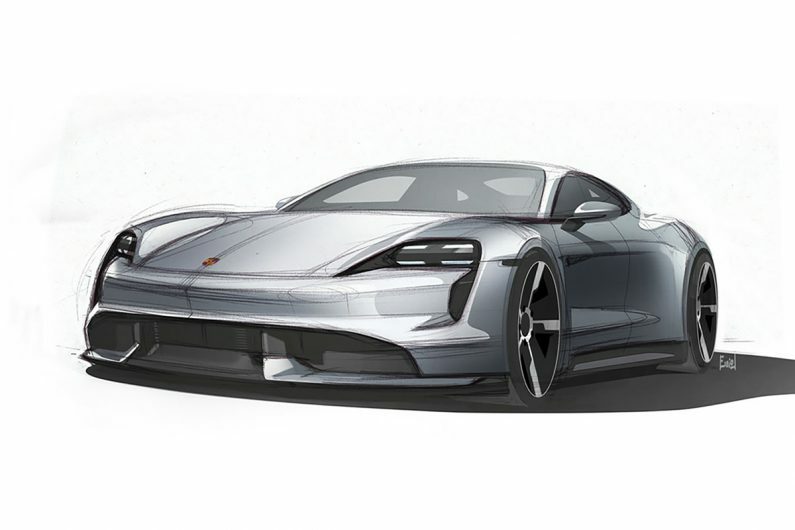 Following the announcement that its Tesla rival will be on sale and on the road in 2020, Porsche has released more sketches teasing the design of the production-ready car. 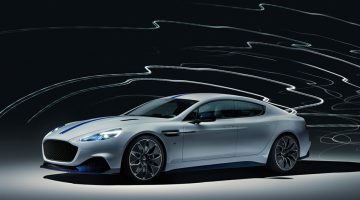 Early prototypes are already being built and, although only seen disguised in public, they give a hint as to how the four-door saloon will look and at some of its production specifications. The rugged Cross Turismo variant has also been confirmed for production in 2020. The concept for Porsche’s electric saloon, then known as the Mission E, was introduced at the 2015 Frankfurt motor show. Since then Porsche has confirmed it will turn the concept into a production car, revealed its official name of Taycan and claims to have received 10,000 requests from potential customers of the new car. When it goes into production, Porsche will initially produce between 20,000 and 25,000 Taycans per year with the possibilities for a greater production capacity if demand necessitates it. The saloon won’t be the only fully electric offering from Porsche, an SUV to rival Audi’s E-tron, Mercedes’ EQC, Tesla’s Model X and Jaguar’s iPace will be launched in 2022 and further electric performance cars will follow soon after. A jacked-up, tough-looking version of the Taycan, the Cross Turismo, has also been confirmed for production in 2020. Porsche has been coy on specifics of the Taycan production car’s range and battery size. However, we do expect the Taycan to have a range of 499 kilometres or more on a full charge and, when fast charging, a 290 kilometre range could be added in just nine minutes. Inductive charging is also being developed, but it’s unlikely to be available when the Taycan is launched. Like its direct rival, the Tesla Model S, the Taycan will also be able to receive over-the-air updates to its software and drivetrain settings. As well as minor alterations, Porsche has said that Taycan owners will be able to buy software to increase the car’s performance or new settings for the adaptive chassis. The prototypes that have been seen testing, although disguised, show that the production cars will look similar to the initial Mission E concept. As expected, the form and proportions aren’t quite as dramatic – it’s neither as low nor as sculpted – and the concepts rear suicide doors have been ditched, but some of the proportions and styling elements are similar. It also shares many attributes with other current Porsche models and it’s hard to deny it looks like a combination of the 911 and the Panamera, while there’s a hint of Cayman in its rear three-quarter view. The inside of the Cross Turismo concept gives us the best idea of to what the Taycan’s interior will look like, it features many near-production elements, such as an airbag-fitted steering wheel and familiar switchgear to that seen in current Porsche models. Recent spy images have also given us a closer look at the model’s braking systems. One prototype can be seen featuring large carbon ceramic discs and another with smaller steel discs. Due to the need for regenerative braking, systems will be bespoke to the model to allow for maximum efficiency. Built on a bespoke all-new electric platform, the Taycan will not be based on any current Porsche, or indeed VW Group model. Acting as an electric-propulsion halo model across all of the Volkswagen Group brands, the Taycan is expected to introduce a suite of new technology and user interface tech. Similar to the Tesla Model S, the Taycan sits on a chassis with its batteries organised into a thin slab underneath the main body. On each axle will sit an electric motor, generating a combined 592bhp power output. Porsche claims that the Mission E Cross Turismo concept is able to reach 100kph in under 3.5sec and a 250kph limited top speed. We have plenty of reason to believe that these are the benchmarks Porsche has set for the production Taycan, too, although again, this has not been confirmed by Stuttgart. Like its American rival, the battery position platform gives the Taycan an incredibly low centre of gravity, which should help the electric saloon handle as well as we expect a Porsche to. A trade-off is a high weight figure, a consistent problem with all electric cars that incorporate enough batteries to ensure a high range figure. Speaking of which, Porsche has quoted a range of around 500 kilometres for the Mission E Cross Turismo concept, a figure we expect to be achievable by the time the production Taycan reaches showrooms. The Mission E Cross Turismo clearly follows this theme, but does so in a new estate-like body, much like the Panamera Sport Turismo. Pointing towards a possible future production variant, the Cross Turismo differs from the original concept by adopting normal door openings, rather than the suicide doors of the 2015 concept. Power for the Mission E Concept car is quoted at 592bhp courtesy of two electric motors, with a technical make-up similar to those utilised in the 919 Hybrid LMP1car. 0-100kph is dealt with in 3.5sec, and 0-200kph is dispatched in ‘under 12 seconds’. 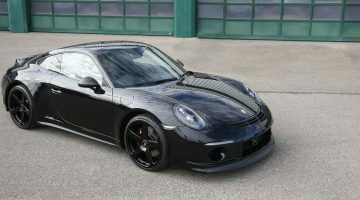 The electric platform is supposedly capable of propelling the Porsche round the Nürburgring in less than eight minutes. Incidentally, the electric range for the concept is rated at 500 kilometres, putting it on a par with Tesla’s Model S P90D. Equipped with an 800V charger unit, 80 per cent of the full range can be replenished in 15 minutes. The car also has the provision for wireless charging. It would be remiss not to note that Porsche’s announcement comes not long after parent company Volkswagen’s scandal over diesel emissions. 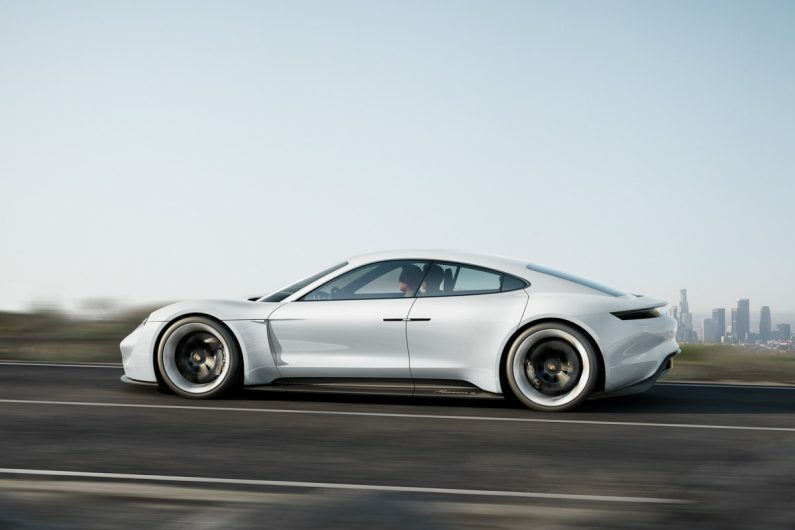 With VW already promising renewed focus on cleaner methods of propulsion, it seems logical that Porsche would follow suit – though media attention on American firm Tesla has also prompted several manufacturers to take a closer look at electric performance cars.